In teacher education, field work in community-based spaces (including foster homes and programs for homeless youth) is frequently contrasted with "traditional" field experiences in classroom settings, where beginning teachers are immediately introduced to teacher-centered models of instruction. This volume works against such a model, presenting a counter-narrative of new teachers’ understanding of the act of teaching. By exploring their work with at risk youth in community-based sites, the authors uncover how non-traditional spaces for teaching and learning have the potential to open new doors for reimagining the teaching act and teacher identity. This volume examines how prospective teachers have used writing within unconventional spaces as catalysts for considering what it means to become a teacher, as well as how the work of teaching can be conceptualized. 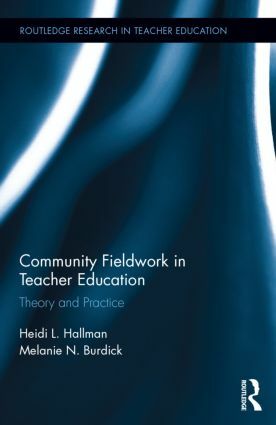 It unites the practical aspects of field work and with theoretical conceptions of teaching, and envisions how the work and the definition of "teaching" can be broadened. Heidi L. Hallman is an associate professor in the Department of Curriculum and Teaching at the University of Kansas. Her recent work has been published in English Education and Teaching Education, among others. In 2010, she received a grant from Conference on English Education for her research on prospective teachers’ work with homeless youth. Melanie N. Burdick is an assistant professor of English and director of composition at Washburn University. Her work has appeared in English Education and The Journal of Teaching Writing. In 2012 she was awarded a grant from the Council of Writing Program Administrators to study high school teachers’ perceptions of college-level writing.